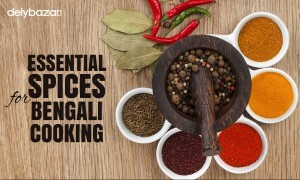 The use of spices and herbs in food is a typical feature of Indian cuisine. These spices have helped create a much fuller and tastier flavor in foods and dishes. Many are celebrated to be great for their medicinal properties and are used extensively in different culinary styles. Many of these have remarkable health benefits and are known across the world for their goodness and rich taste. Cinnamon is a popular spice that is found in many goods and recipes. The compound cinnamaldehyde helps in fighting cancer causing cells. It also has medicinal properties that help fight inflammation and lowers cholesterol and triglycerides. Blood sugar levels are shown to drop and the breakdown of carbohydrates is fastened in the digestive tract. The insulin sensitivity is also bettered. Sage gets in name from the Latin word Salver which means to “save”. This herb has a strong reputation for its healing properties and was known to prevent plague. Sage is often used to improve bran function and helps build memory. It is known to stop the growth of Alzheimer’s in the long run in seniors. Sage intake for over a long period of time often led to improvements in brain function. Peppermint is known to relieve the stress in individuals and is used in aromatherapy. The oily component in the spice has significant health affects that help improve pains and betters erratic bowel movements. This spice is also known to relax the muscles of the colon and helps ease the pain during bowels. Abdominal bloating, which is a common digestive problem, can be reduced if you consume peppermint. 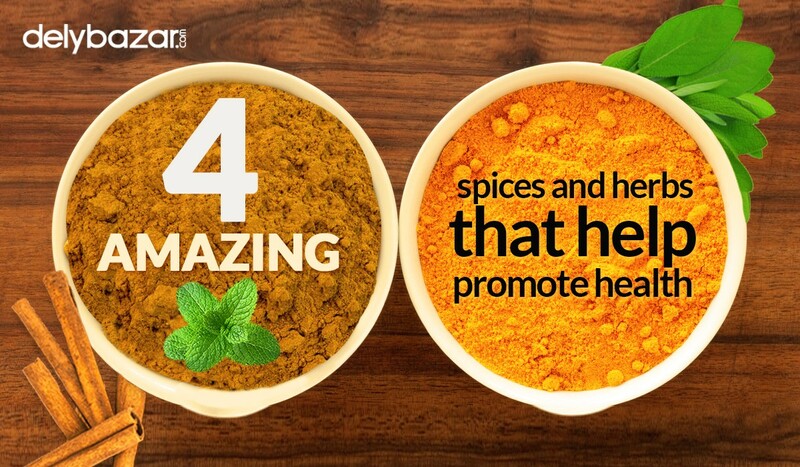 Turmeric is often the spice that adds the yellow color to the curries in India. This spice has many compounds that have medicinal properties like the cur-cumin. This cur-cumin is a powerful antioxidant that helps fight oxidation damage in the body and boosts the antioxidants too.